Pay as you go ala carte style or buy a package. No long term contracts. Your choice! Responsible for teaching couples all over Chicagoland how to take their first dance steps as husband and wife. Working with corporate professionals in fortune 500 companies to produce their best team buildings yet. Performing dance and teaching dance classes all around Chicago at some of the world's largest conventions. How can we be your next dance asset? Counting down the days until you're summoned to the middle of the dance floor? Windy City Wedding Dance is an award winning ballroom dance studio located in downtown Chicago made up of 5 dedicated dance instructors who love to teach dance. Chicago dance lessons made easy. Through creativity and collaboration we work with our clients to create the "right" first dance. Our "Not One Size Fits All Approach," is what sets us apart from other studios. We really listen to our clients to achieve their goals. We can work with any song. Our specialty is wedding dance, but we do so much more at the dance studio! We teach people just like you how to dance. If you're engaged to be married and would like some help with your wedding dance, you've come to the right place. Read more about our wedding dance lessons. Windy City Wedding Dance is located at 410 S Michigan Ave 2nd Floor in downtown Chicago. Not only are we tied into wedding dance but we also work closely with TheKnot and have been a yearly featured partner. Over the years we've earned our reputation with nothing but 5 Star reviews on TheKnot, Yelp, and Google+. We offer private dance lessons, weekly group dance classes, studio space rentals, and special events. In 2017 Windy City Wedding Dance has been named the official Green Room Space for the Studebaker Theater which is located in the Fine Arts Building. Dance classes are offered as 4 week workshops and start at the beginning of each month. See our weekly dance class schedule. Our professional rock star dance instructors teach corporate team building, kids parties, perform, and more. In addition to private dance lessons, we also offer adult group dance classes. These classes are great for singles or couples who want to dance in a social environment and are looking to learn with other beginners. We have something for everyone. Our dance instructors teach free style, night club, social, and ballroom dance. Dance styles we teach include Salsa, Swing, Rumba, Bachata, Foxtrot, Waltz, Tango, and more. Are you still unsure about having an organized dance but just need some help and tips to not feel silly on the dance floor? We can help with that too! 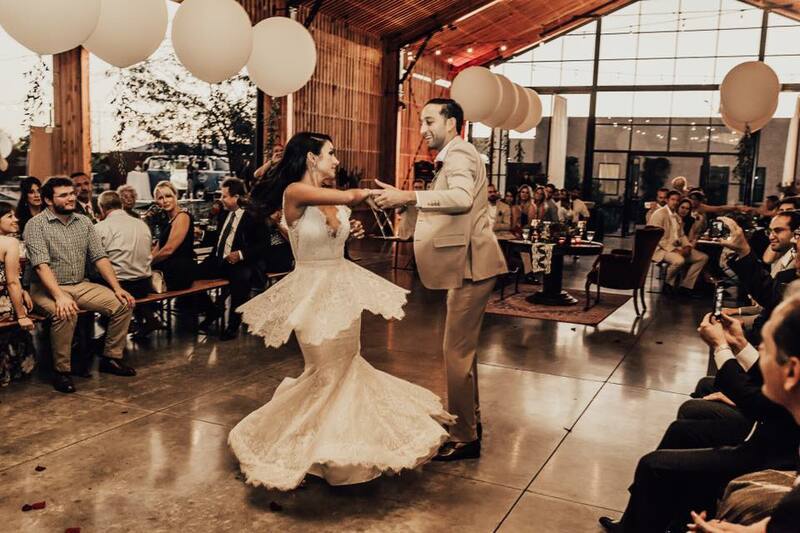 Wedding Couple Dance lessons at Windy City Wedding Dance are a wonderful way to make time for each other leading up to your big day. Our flexible scheduling and locations makes it easier to work around your schedule. We can customize and choreograph a routine for your first wedding dance. For those wedding couples who want to go all out on the dance floor leave it to us. Others may just want some general dance moves to feel more comfortable in their partners arms. Ask your instructor to take some video so you can practice at home together. Make practicing fun and romantic. This may entail moving some furniture. Tell us your vision and let us make your dreams come true for your first wedding dance. Don't count your father out he has been secretly waiting for this day. He told you he was cool but you never believed him. At Windy City Wedding Dance, Father Daughter Dance Lessons are gaining steam. Bring dad in for a few dance lessons. Maybe you didn't know but dad had some moves back in his day and he was born to perform. Pick your favorite song and lets boogie down. Make it a surprise and a major highlight for all the guest. Combine songs together or just pick an old favorite. 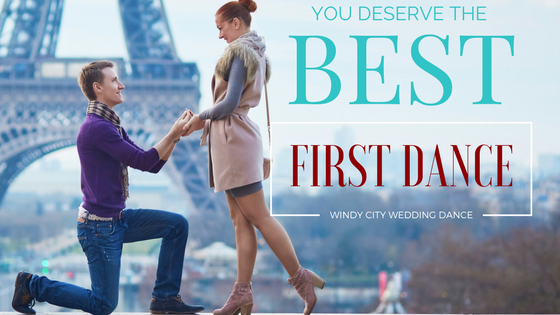 Scheduling at Windy City Wedding Dance is easy and convenient. At Windy City Wedding Dance we offer a number of options. Mother Son Dance Lessons are just as important. For all you gentlemen out their don't forget about mom, or you will never hear the end of it. This is a tough day for her and she would love the opportunity to take a few lessons and prepare for the big day. Feel free to ask for a customized package to include your future bride, the bride's father, and of course your mother. Even better get both of your parents in for a dance lesson. Wedding Party Dance Lessons are available at Windy City Wedding Dance. Did you go to a wedding this summer and watch the entire wedding party boogie down? Flash mobs and wedding party routines are a great way to create an unforgettable experience that will keep your guests talking for days. Bring in the wedding party for a specialized routine or an entire side of the family. We can customize a dance for all ages and fitness types. Everyone loves a good party. Is your schedule preventing you from being able to come in as often as you like. Pay as you go for your dance lessons. Book single ballroom dance lessons today. All dance lessons are 45 minutes long. Some schools you make you purchase dance lessons in bulk. It can be an investment that you may not be ready to make in your dancing. We want your dancing to be a hobby that is stress free. This is a great option for people who travel for work in consulting roles and students who work rotating shifts or attend school with changing schedules. A single lesson purchase can be made on site with our convenient payment system. The Introductory Private Lesson is for beginner level singles or couples who are interested in learning ballroom dance for the first time. The introductory private dance lesson is a great way for potential clients to interview the instructor, location, and their experience. During the lesson the dance instructor will cover 2 to 3 different dance styles. The Introductory private dance lesson shows the client the basic fundamentals of ballroom dance giving them a taste of what's in store. Bachelorette Parties can be stressful and overwhelming but not at Windy City Wedding Dance. Winter or summer we can help plan the best Bachelorette Parties. If you are the made of honor, we have just the thing for you. At Windy City Wedding Dance you can bring the entire group in for a private group dance lesson. Let Windy City Wedding Dance help you plan and arrange catering for your guests by bringing in local unique Chicago style cuisine to feed your guests. We are Chicago’s number 1 spot for Wedding Dance Lessons. 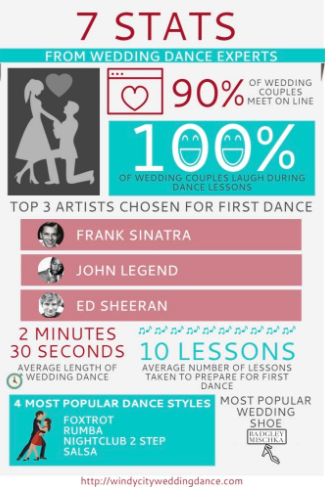 Our Chicago Wedding Dance Specialists will prepare you for your first dance. We offer dance lessons for singles, groups, and couples. If you want to try something you don’t see listed here, don’t be afraid to ask. We want to accommodate our clients and may be able to service your needs if possible. Lets get everyone dancing at your wedding. Did you see a video somewhere with your vision? Bring in the website or video on your phone. Let us help you make your day special and customized to your vision. We do offer dance lessons for all ages so don’t be afraid to get the kids involved. They spend the most time on the dance floor. You can split your packages to cover multiple types of dance lessons. You can work on your first dance, Father Daughter dance, and Mother Son dance. Here are a just a few dance lessons we offer. At 2 years old her mother sat her in front of the TV to watch the Olympic trials. It just so happened that gymnastics was the event being shown on the TV. Jessica didn’t make a peep for hours. Mom signed Jessica up for gymnastics, tap, ballet, and baton as soon as the dance schools would take her. Like many younger sisters, Jessica was more interested in what her older brother was doing so she moved on and explored other sports. Jessica attended college with a 4 year athletic scholarship to a Division 1 college and won a conference championship during her first year. Jessica went on to play semi professionally and then decided to retire. Jessica’s passion for gymnastics and dance resurfaced a little later in life and she began to train to be an instructor. She participated in an accredited training program through Divida called Ballroom University with Blackpool World Champion Tommye Giacchino. Today Jessica educates and teaches dance lessons in Chicago at Windy City Wedding Dance. 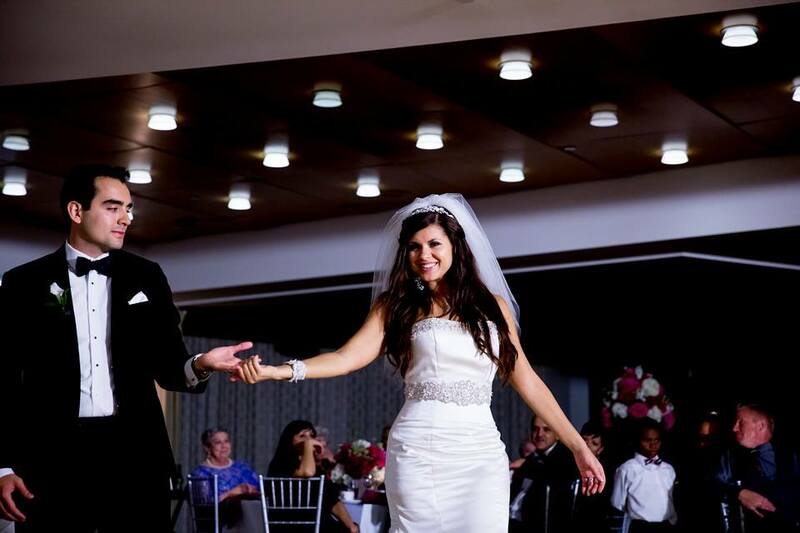 As the owner, she is commited to having the best Wedding Dance Studio in Chicago. Tommye Giacchino began her career in her mother’s dance studio where taking class every day was a way of life. After seeing a ballroom dance competition she was hooked. Winning numerous titles “United States Rising Star Champion,” US Open Cabaret Champion, Professional American Smooth finalists and Rising Star Champion, and the most prestigious, winner of “The British Open Invitational Exhibition Championship” known to most as Blackpool, Tommye has traveled the world to perform and coach ballroom dance throughout Asia, Europe and almost every state in the USA. In addition to working for world-renowned jazz and ballet companies such as Gus Giordano, River North Dance Company and The Joffrey,Tommye has performed extensively with major symphonies such as The Chicago Symphony Orchestra and The Elgin Symphony and has been a featured artists and provided expert commentary on television programs around the world: PBS’s Championship Ballroom Dancing, “America’s Ballroom Challenge,” Eurosport, ESPN, ABC, CBS, NBC, FOX, WGN and a soon to be released program on the TLC. Ms Giacchino has been honored with numerous Top Teacher awards, as a highly recognized Pro/Am teacher at numerous competitions, and holds 5 NADTA championship Certifications. She works tirelessly to make Latin and ballroom dance accessible to everyone in the Chicagoland area by advising schools, festivals, and dance programs on curriculum as well as by offering teacher training and certification programs thru DIVIDA. Alesha puts a spin on things with a professional back ground in modern and concert dance starting her career in Madison Wisconsin. Alesha has managed multiple programs in the Chicago Arts and specializes in children and adult Hip Hop and Ballet programs. Alesha started to explore ballroom in her early 20′s and never looked back. She has a strong passion for helping others embrace dance and movement. Alesha has most recently participated as a featured dancer in a movie scheduled to release in December of 2013. Most recently she performed for our First Lady Michelle O’bama. Alesha also participated in an accredited training program through Divida called Ballroom University with Blackpool World Champion Tommye Giacchino. Alesha has a full time job in the corporate world but loves to share her passion for dance with Wedding Couples after work. What makes us different? Each and everyone of us have shared careers in corporate and have a true appreciation for finding a career in something we can hardly call work. Each and everyday we share laughter and joy with our clients as they prepare for their First Dance. Our Chicago Dance Instructors Jessica Mays and Alesha Bales still train weekly under Blackpool World Champion Tommye Giacchino, and still compete and perform at events in Chicago. The Dance Instructors here at Windy City Wedding Dance are trained under the National Dance Council of America dance standards and DVIDA syllabus. All Dance Instructors are required to train weekly to ensure they keep up with their dance and teaching knowledge. Words can’t express how much of a JOY it was to work with Jessica for our Wedding “1st dance”. She has an Amazing personality and she is a Great instructor. She is very down to earth and no matter how horrible of a dancer you think you are she can make you look like you’ve been a “Ballroom Dancer” your entire life. In just 4 lessons, Jessica turned our “Two Left Feet” into a Spectacular Wedding Dance and on our Wedding Day…we felt as if we were dancing on air and as if there was no one else in the room but the two of us. Jessica you are AMAZING and THANKS for Everything!!! My mom insisted that we should take dance lessons before our wedding so she signed both my dad and I up and my fiancé and I up. We were a bit hesitant to do this, but Jessica was absolutely amazing! She worked it out so we could split up the lessons and helped us figure out a dance for both songs that we had chosen. We not only learned our dance, but had a lot of fun with her as well. After we did our dances at our wedding my mom immediately said it was the best money she spent on our wedding. We were thrilled with everything and will recommend Jessica to all of our friends! Tommye is an excellent dancer and instructor with many years of experience. Her co-instructors, Jessica and Alesha, “know their stuff,” and they’re committed to making their students look and feel good when dancing. Dancers of all levels will enjoy themselves and will learn as much as they want. Performing an American Waltz just weeks after their wedding in October of 2015. Joe and Tanya have now been dancing for just a few months and have big plans for their new exciting hobby. So far they have studied American Style Foxtrot and Waltz. Taking ballroom dance lessons was an exciting highlight for them during the wedding. They stepped up to the plate and performed their dance live at the Studebaker Ballroom Broadway Show on October 18th, 2015. We can’t wait to see what’s next for Joe and Tanya.